The Bhojpuri-speaking market has been categorised as Hindi-speaking market in TAM terms, so far. With an aim to change this, Complete News and Entertainment Broadcast Pvt Ltd (CNEB) and Launch Pad have joined hands to create Bhojpuri International Music TV Channel – Hummra M. Launch Pad, led by Probal Gaanguly and Vikas Varma, is acting as a consultant for setting up the channel. The channel, launched on August 13, is targeted at 15-24-year-olds in Bihar and Jharkhand (Bhojpuri-speaking) market. Probal Gaanguly, Partner, Launch Pad, said, “Strategically, the Bhojpuri market has been waiting to explode since quite some time. There is no regional music channel here. Hummra M is perfectly placed for advertisers to reach out to this important market.” The channel would telecast top-of-the-chart Bhojpuri film songs. The packaging and the look of the channel has been designed by Mr Varma (who was a part of the 9XM set-up team), and the channel would have 3D animated characters. The second phase would see more unique content, according to Mr Gaanguly. CNEB Hindi news channel, which did not turn commercially viable even after 4-5 years, was converted to Hummra M. The aim of Launch Pad is to look at profitability, create opportunities for marketers, and break even in the shortest time frame of 12-18 months. HS Sran, Group Chairman, HBN Group & Complete News & Entertainment Broadcast Pvt Ltd (CNEB Network), said, “We are delighted to join hands with Launch Pad to create the first entertainment TV offering from the CNEB network. 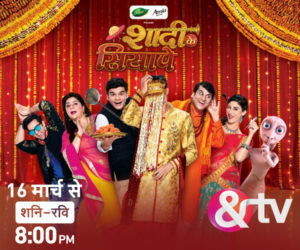 With the proven track record of Vikas Varma and Probal Gaanguly in this genre of TV entertainment, it is a win-win situation for the CNEB Network, Launch Pad and the Bhojpuri TV viewer. We look forward to many more such ventures from this team.” According to the officials, the TAM ratings of Week 33 of Hummra M in BSM – 15 to 24 yrs TG is 6.42 which is almost the times of the three other Bhojpuri Music Entertainment Channels (Dabangg, Big Magic & Sangeet Bhojpuri). To market Hummra M, the channel would be engaging in below-the-line marketing and activations. The channel is also looking at tying up with film properties. sir, i have a lots of hindi,bhojpuri movie songs rights u r interested mail me.